Howard Lipman understands the value of philanthropy. 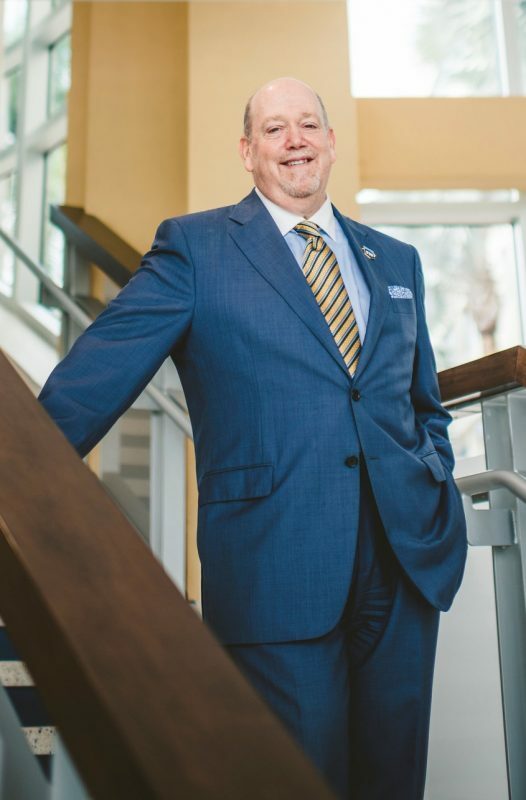 For the CEO of the FIU Foundation, it’s more than just a sum of money; it is a sign of pride, a symbol of gratitude and an investment in the future of all those whom the university serves. Leading the $750 million Next Horizon campaign, Lipman has seen all manner of South Floridians step forward, from alumni thankful for the doors that their degrees opened, from companies that benefit from the steady flow of well-trained professionals who graduate each year and from community-minded individuals who recognize that the university stands as an anchor for a region on a decidedly upward trajectory. Why does a state university need a campaign to raise private funds? Private philanthropy provides the margin of excellence. It enables us to attract the best and brightest students with scholarships and helps them succeed. It allows us to recruit and retain the finest faculty. It helps make a good university a great university. Already so many donors have come forward to contribute. Why? They are impressed by FIU’s impact and all the university has accomplished and how it has provided a pathway for hundreds of thousands of students seeking an outstanding university education in Miami. FIU engages with the community in many other ways. We uplift cultural vitality through our museums and performances, and provide vital services that strengthen health and wellness. People want to support institutions that are worthy of their investment, that make an impact with their work—and at FIU we do just that. How does personal connection figure into people’s decisions to contribute? So many people in our community have been touched by FIU—we have more than 225,000 alumni. In addition to the difference the university has personally made to them, it has touched those in their lives: families, friends, business associates. Many others have been touched by FIU through the difference we make in the quality of life in South Florida. Each FIU story is unique and inspires that individual to give back to the university. How will this campaign change the course of FIU history? Our phenomenal students and faculty, leading-edge research and innovative programs have made us one of America’s top 100 public research universities. Next Horizon will accelerate our progress toward the top 50! In partnership with our donor-investors, we are shaping the future of FIU by establishing a financial foundation that is powering our next phase of excellence. The campaign provides resources to implement FIU’s strategic plan, which encompasses the twin campaign pillars of student success and research preeminence. You have said FIU is a driver of economic growth and prosperity. How is a campaign critical to that?